"1. 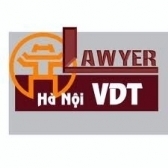 The proposer must submit 01 sets of dossiers to the Vietnam Aviation Department submitted directly by the Civil Aviation Administration of Vietnam or through the postal system and are responsible for the accuracy of the information on file. Applicants/requesters shall send one set of dossier to the Aviation Administration of Vietnam by person or by post and bear responsibility for the information accuracy in their dossiers. "3. Within 05 working days after receiving complete dossiers as prescribed, the Civil Aviation Administration of Vietnam shall perform the registration, deregistration, or provide written information to the requester." đ) Documents on technical conditions of the aircraft, including: valid certificate of export airworthiness for aircraft manufactured overseas, type certificate issued or recognized by the Aviation Administration of Vietnam, and the manufacturer’s valid written certification on compliance with design and manufacture conditions.